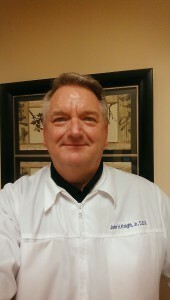 John H. Knight, Jr. also know as Jay was born in Richmond Virginia where his Dad was attending Dental School at the Medical College of Virginia. upon graduating in 1960 his Dad John H. Knight moved the family back to Charlottesville Virginia where he opened up his Dental practice. jay attended Albemarle High School graduating in 1977. He attended Elon college now called Elon University in North Carolina graduating in 1982. After a career in hotel & restaurant management as well as real estate development Jay decided to pursue his true calling and entered Dental School at The University of North Carolina at Chapel Hill graduating in 2001. He moved back to Charlottesville working along side his Dad eventually purchasing the practice form him in 2004. Jay is married to his wonderful wife Wanda and live in Albermarle county just outside Charlottesville. Between them they have 3 wonderful children whom they are very proud of along with 5 grandchildren and a very special foster child. Jay has been very involved in organized Dentistry in Virginia. He is a member of the American Dental Association, the Shennandoah Valley Dental Association and the Charlottesville-Albemarle Dental Society. He is past president of both the SVDA & CADS. He has served the VDA as a member and Chairman of the Political Action Committie (VDA-PAC). He is a fellow in the International congress of Oral Implantologist (ICOI) and currently serves on the board of Love, INC in Charlottesville. Dr. Julien Nadeau is a 2009 graduate of the University of Virginia where he earned his BA in Biology. He is a 2013 graduate of The Virginia Commonwealth University School of Dentistry. After completing Dental School Dr. Nadeau completed a General Practice Residency at the Veterans Affairs Medical Center Dental Clinic in 2014. 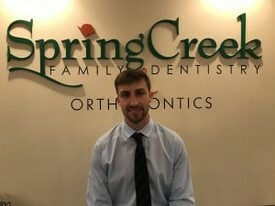 In 2014 Dr. Nadeau joined Spring Creek Family Dentistry & Orthodontics and our other office John H. Knight, Jr. DDS & Associates in Charlottesville, Virginia. Dr. Nadeau has served the communities he has lived in in several areas. He has worked as a volunteer at the Charlottesville Free Dental Clinic, Special Smiles Program and Miles for Smiles as a volunteer in Richmond. He also was a volunteer at Oklahoma’s Mission of Mercy in Oklahoma City, Oklahoma. While attending the University of Virginia as an undergraduate he Co-founded the Global Medical and Dental Bridges chapter there. While at UVA Dr. Nadeau coordinated 3 and participated in 2 missions to Honduras in an effort to bring Dental care to those in need in that Country. Dr. Nadeau is an avid golfer and lives next door in the neighborhood of Spring Creek. He loves all types of sports especially the Wahoos!! He has an excellent, genuine, and infectious personality that all of his patients love. Dr. Matthew Cline received his Bachelor of Science degree from the University of Richmond in Virginia followed by Dental School at the University of Maryland. Upon returning to Virginia Dr. Cline completed a General Practice Residency program GPR at the University of Virginia Department of Dentistry serving as Chief Resident. Dr. Cline practiced for several years in Charlottesville as a general dentist before further specializing in Orthodontics at a 3 year Orthodontic residency in New York City, New York. Dr. Cline now practices Orthodontics in both the Charlottesville and Richmond areas. 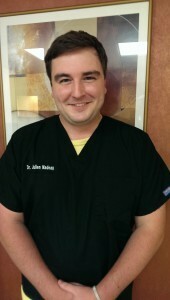 He is loved by his patients for his high standards of care and friendly, comforting chairside manner.